From Judy Fleming’s upcoming Recipe Book “Foods from Around the World” where she takes foods from different regions around the world and creates healthy, vegan recipes using these different foods. 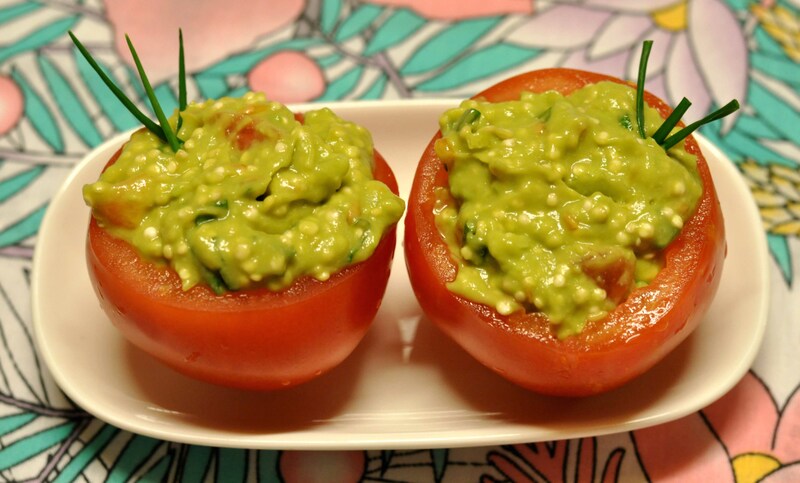 Today we’ve taken foods from South America to create these raw stuffed tomatoes. Serve them with your lunch or as an appetizer for dinner. From Judy Fleming’s upcoming Recipe Book “Foods from Around the World” where she takes foods from different regions around the world and creates healthy, vegan recipes using these different foods. 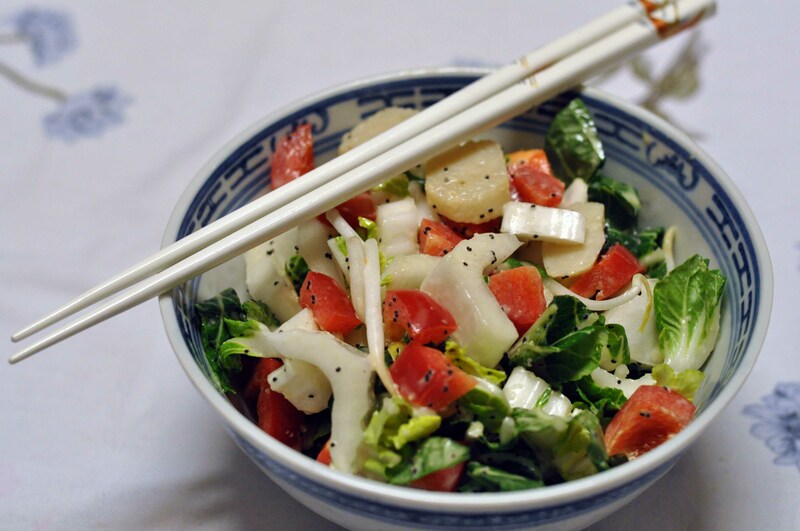 Today we’ve taken foods from Oriental Cuisine to create this Bok Choy & Bell Pepper Salad with a Lemon Poppy Seed Dressing. From Judy Fleming’s upcoming Recipe Book “Foods from Around the World” where she takes foods from different regions around the world and creates healthy recipes using these different foods. Today we’ve used a fall fruit from Canada – apples! 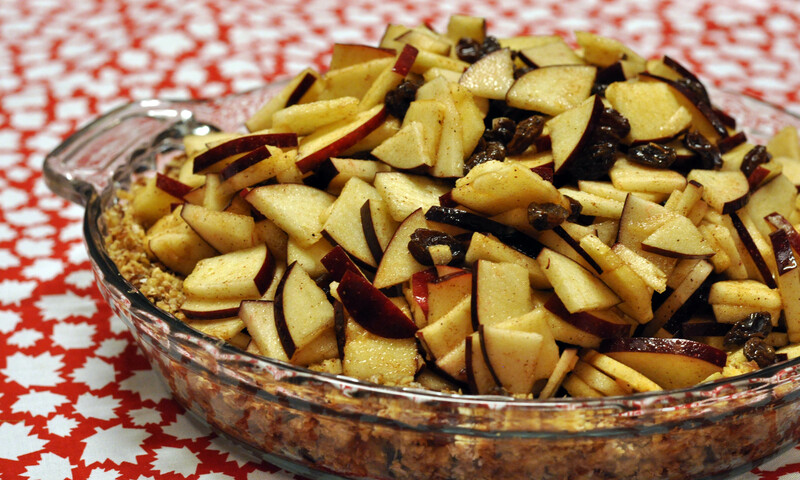 One of our favourite Canadian desserts is the Apple Pie – here is my raw version. Soak the almonds (or any nut combination) in distilled water overnight, then strain.